The face feature on Instagram are limited, and they’re much less jazzy than Snapchat. Instagram’s facial recognition within this feature is slower and less accurate than Snapchat when it comes to the application of said filters. Perhaps, the most important reason to note is that Snapchat is actually in a strong position within the market. It’s innovative idea to spearhead intimate photo sharing, and creating the original my stories platform, allowing creators to share content in chronological order for 24hrs has been so popular it’s been copied by Instagram, Facebook and Whatsapp amongst others. It seems everyone wants to “own” the camera -as Silicon Valley tip computer vision and augmented reality to be the next big thing. 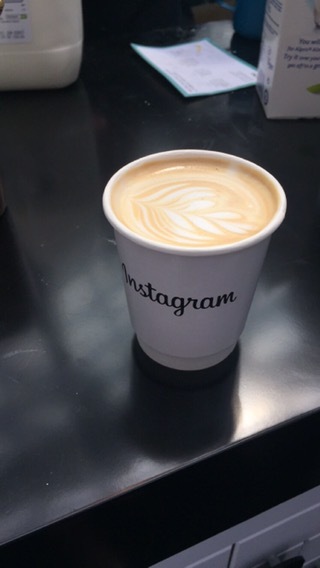 If you are a business Snapchat is not a channel to ignore or underestimate. If you aren’t already on it, you should be. The platform is now focused on growing their partnerships with brands, to create tailored branded content that when gets into the hands of its users, allows people to press and share with their friends or as part of their daily story. And if you didn’t already know – consumers are 7x more likely to buy or engage with a brand that shares video content. Now think about what I just said, and remember they can share it with their sphere of influence instantly and direct. 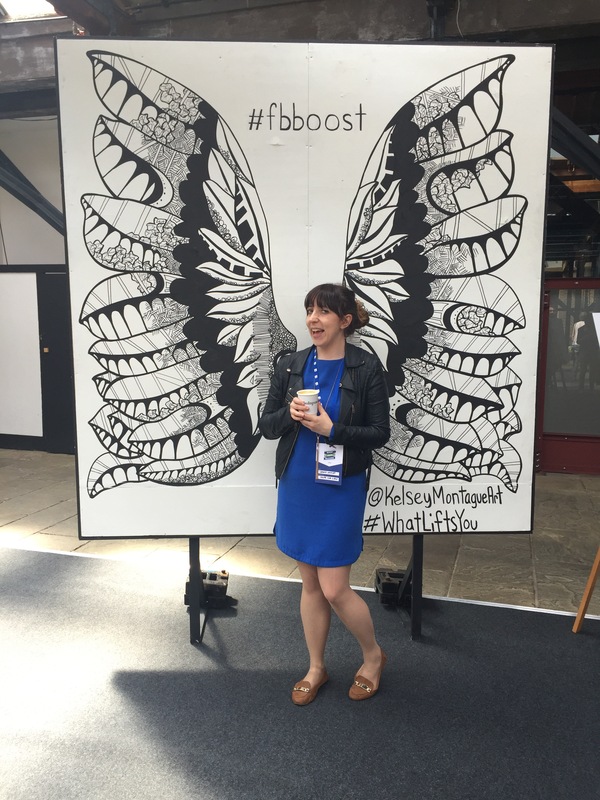 Last week, I had the privilege of attending an afternoon event with Facebook & Instagram on how to boost your business using Facebook and Instagram, so I thought I’d share a few snapshots and thoughts that stood out from the day. 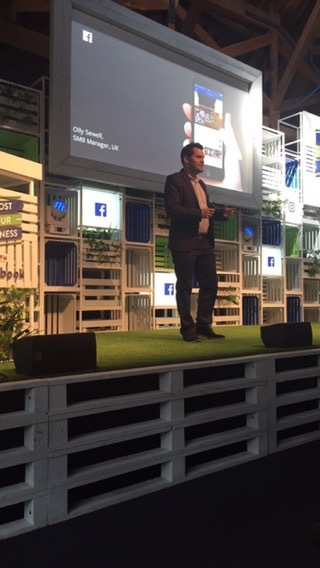 We heard from Olly Sewell, SMB manager for Facebook UK and Ireland. Tanya Beckett did a fabulous job hosting the event and below are three of the entrepreneurs that gave testimony of their success using Facebook. I thought Tricia Cusden was by far the most interesting story on the panel with her make up brand Look Fabulous Forever. 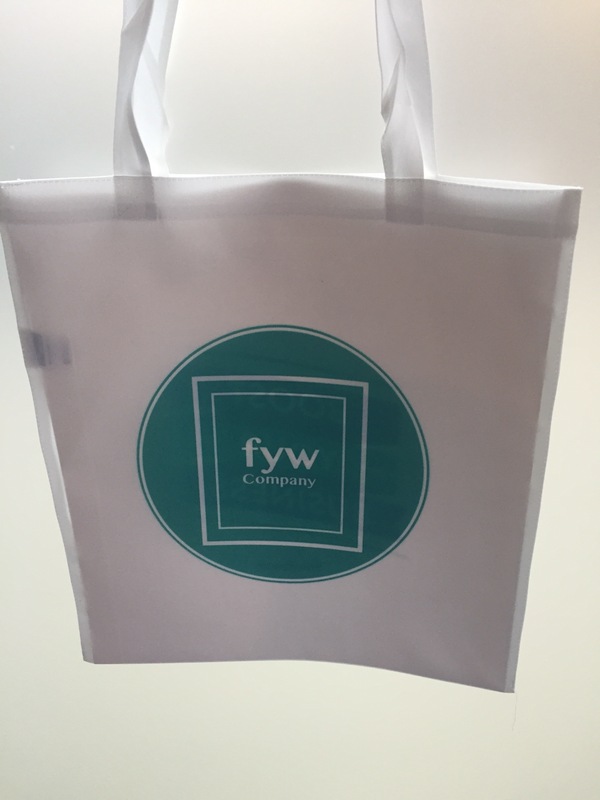 They also gave delegates the opportunity to screen print an Instagram photo of their choice. I choose to have my own brand logo, Frame Your World, which is a new range of inspiring lifestyle products that I am launching this summer. So I know I’ve rambled on about my experience of the event itself, but from a business perspective it really is the best way to go with advertising and connecting to your target market. 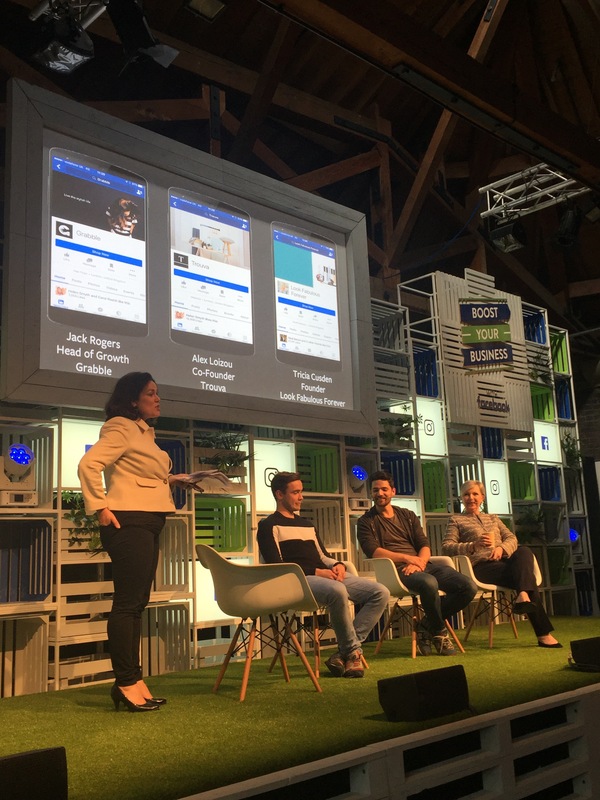 I was rather expected by the mention of rolling out an analytical side to Instagram for business as the relatively new ad platform continues to get into its stride. Instagram is by far one of the hottest channels right now with 400 million active users. As you all know this is my favourite channel, but incase you need another reason to be on Instagram than its connected to the market leader of social networking. A pictures speaks a 1000 words, and is a universal language. Isn’t that something? I think so. 1. Build your content with stories and facts in mind – people remember these things. 2. Be consistent – branded content over time my brand will build. Make sure you have a clear direction, colour scheme, theme and purpose behind every post you publish. 3. Thumpstopping content – when people are sliding through make a quick impact to catch people’s eye. Research from MIT suggest that you have 3 seconds to capture people’s attention, so don’t wait till the end of your add to present the diamond to your customer. Our culture is changing once again, so it’s time to get clear the etch a sketch board and start thinking mobile. If you need some more reasons, then check out my last post on 3 reasons why you should be on Instagram. I honestly believe that if you want to be savvy in building and growing your business then you really should consider testify out the Facebook or Instagram ad’s. Besides the menial fact that Facebook ad targeting has a reach of 6.5 billion every month. It’s one of the most targeted and cost efficient way to reach your customer in a very noisy marketplace. 1. Know your goal – what do you want to get from it? Be aware that a share is much more valuable than a like, and content that is mobile friendly and video will have the greatest reach and impact. 3. Set aside some time aside and log onto Blueprint – Facebook have provided a great resource for help you no matter what level you are starting from that will fully equip you with what you need to know about creating ads. To many, Facebook’s takeover of Instagram will be last week’s news, but today I’m using this story to highlight an after thought from this story that will hopefully add value to your business. To give you some context to my inspired moment, I must take you to Facebook where my friend (distant from the world of marketing) innocently asked; “So all this chat about Instagram being bought by Facebook for wan billion or however much…What does this actually mean? What changes?” – That’s when I had my moment of inspiration, right there, and then. It suddenly dawned on me how easy it is to work in marketing, and business and still miss communicating our point to the consumer. My friend caught wind of the billion dollar sale, but he failed to understand the impact this sale would have on him – as the end-user. Should he bare the responsibility for this, or should we – the marketer, writer, and communicator take responsibility and communicate our news in a way that is effective, and relevant to those that matter. The answer is, none right now. Mark Zuckerberg released a statement highlighting the reasons behind the decision, and their intent is to ‘try’ to continue building and growing Instagram independently. The fact of the matter is that this sale came at a very interesting time. Facebook are positioning themselves to launch into the stock market next month, and Instagram has just broken record to be one of the biggest app releases on the Google play platform, in its history. In March, the app hit 1 million users in less than 24 hours of its Android Launch. Selling at this moment in time may seem perfect for many, but disconcerting to many of its users. Perhaps, if we keep this in mind when we write our tech savvy articles, content, and informational material we wouldn’t cause so much of a scare to users who aren’t always interested in how much your company sold for, but instead more interested in how your sale will change the user experience? The bottom line is that there is a danger to many media sharing, information platforms, and businesses that we are still so consumed with the structural changes happening in our culture and effecting every inch of our business that we are failing to have some form of clear communication with our end users – who are not tech savvy, but a faithful and dedicated user of platforms such as Facebook, Twitter, and Instagram. Don’t believe me then just take Facebook’s shift to Timeline. I lost count of the number of people lost and confused on the subject matter of Timeline. Questions like, what is it? How do I change it back? – Came flooding in their droves. As I continued to explain there was no going back, and the implications that Timeline could have on their profile privacy. Most users were shocked, and certainly unaware of the implications caused by the face-lift. Of course Facebook informed marketers of the changes, but this didn’t filter through enough to the end-user, and that’s my point today. How well are we filtering information through to the end-user? As effective as I believe social media marketing can be. It is meaningless if we don’t have well-informed users on the other side of each tool. We’d all do well to keep this in mind. For quite a few years now, the UK Government have been running a series of ad’s to promote child safety when crossing the roads. Randomly the one that seems to have lodged itself in my memory is King of the Road. Take a look, and click on the link. The connection I’m trying to make here is this… Just like the video promotes us to be careful when crossing the road. The, ‘Stop, Look, Listen, and Live’ tagline could also be used to promote, and prompt us in the grown up world of online, internet, media and marketing; To stop, and think before we post, and click. Is picking a niche important when it comes to social media marketing? I think so. There is only so many hours we have in a day, and whatever business we’re in. Whether you participate in a social media campaign yet, or not. There are psychical restrictions on what one person can do. You don’t need to be on every platform. 1. What do you want to get out of it? Defining your goals in social media marketing is vital. If you don’t have a strategy, or plan in place. It becomes to easy to spend countless amount of hours, receiving little in return. (This is where those who are skeptical of the ROI in Social media have a point.) If you don’t have a plan, then your just wandering aimlessly and expectations on ROI are of course going to be limited. Ask yourself if your’re going to use a social media platform to raise brand awareness, or to use it as an extension of your services, i.e. offering real-time customer Service? 2. Which platforms are relevant to you, and the goals you hope to achieve? It’s not necessary to be on every platform. There is too many to manage, unless your in a position to draft a team of social media strategists and handlers. Rather, study each site and decide which avenue is the best for you. So for example, if your primary market is to sell to other businesses then you may want to think about Twitter, and LinkedIn groups. If your primary market is to sell direct to the consumer, then you want to be thinking about Facebook, and YouTube. By no means, am I saying that you should only be on those few sites. I’m just demonstrating some examples, to help get you thinking about the platforms most relevant to you. This is especially important if you are solely responsible for all social media marketing of your business. 3. Think about your content, and share accordingly? If you’re a photographer for example, with lots of visuals then you want to be posting images of your work. So which social networking sites will help you showcase your work, and build relationships? * Facebook, Twitter, Stumble Upon, and Flickr are just a few examples you may think about. *Social media is all about relationships, and whilst a strategy is vital to any business. The ultimate goal should be to build relationships, and if people want to look into your business and products from there, it’s a bonus. Three reasons why social media is a worthwhile investment. A nice little article, but I find the figures astonishing as the most powerful tool in advertising is word of mouth; social media is the digital tool that provides marketers direct access to pools of consumers in a wider scale than ever before. For those who cannot see the ROI in this by now, I sympathise because this is the year where those who do understand Social Media will make thrust forward and out of sight of those who don’t. 1. Social media is a low costing marketing tool. You don’t need to pay to have a presence on social networking sites like Twitter, Facebook, Google+ and LinkedIn; you just need to be there. Engage in conversation, building relationships, and being genuine in this (I’m not promoting manipulation by any means). Just be yourself, and share who you are with others. Helping others solve their problem naturally increases the potential of someone wanting to help you out, or buy your product. With over 800million viewers on Facebook, 1.6 searches made on Twitter every day, and 135 million users on LinkedIn alone. How can this not be a returnable investment. The ROI comes from relationships, word of mouth, making a difference. The only cost you will pay is time, and depending on the size of your company, resources. I fully believe the investment far outweighs the return, if only for the sheer richness of opportunities, knowledge and interest it presents. Yes it costs time, but there are simple steps that can be taken for those without the budget or resource to hire someone from outside. This is one opportunity no business can live without – in my humble opinion. I could go into this in so much more detail, but in the interest of keeping my blog post short and readable, I won’t. Any questions, feel free to drop me a message and I will answer. Social networks get revamped in time for Christmas! For many tis the season to be jolly, buying presents, sending cards, Christmas parties and fending of the forces of winter, (for some of us). For social networks it seems the perfect time to produce a makeover. This week Facebook rolled out their new streamline profile, Timeline, revealed back at their annual developers conference in September. The new Frictionless experience will only be available in New Zealand for now, but will be rolled out to the rest of the world in the coming weeks. Let’s not forget our blue bird friend, Twitter, who took the plunge and introduced two new feeds, @(username) and Activity, which in essence is the equivalent to Facebook’s notifications feed. Despite the changes being introduced back in August, we have only seen these roll out in the UK in last month. 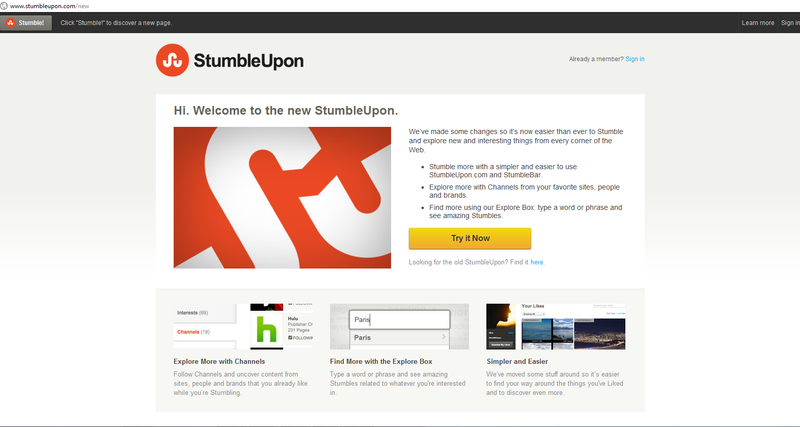 Following closely behind, StumbleUpon introduced us to their new redesigned website earlier this week, featuring a brand new logo and greater focus on placed on it’s visual content and appearance. So, it seemed only natural for the ball to fall back to the Twitter nest once again who have now decided, “Out with the old, and in with the new!” Adding four new features this time, all part of their new Fly Twitter project to make Tweeting on Twitter a richer experience. “We’ve simplified the design to make it easier than ever to follow what you care about, connect with others and discover something new,” via the Twitter Blog. Check out the video, it’s much more exciting! Oh, and if your the lucky bird with an iPhone or Android mobile you can upgrade your mobile app now. I’ve upgraded today and I have to say on first appearance it looks miles better than the old app, which personally found a little confusing to navigate (from my iPhone). What do you think?